World's Brightest Minds Migrating to China, Brain Drain Creating the "Chinese Dream"
China actively took up the issue of attracting highly skilled professionals, scientists and managers to the country. Foreigners are offered attractive conditions, and observers are already talking of this trend as the "brain drain" into the PRC. China that does not shy away from learning from other countries intends to create the "Chinese dream". The deputy head of the State Administration for Foreign Professionals Liu Yanguo in an interview with China Daily said that China was in a full swing campaign to attract foreign specialists to active participation in the various scientific and economic areas in China. The project designed for 10 years seeks to bring to the country 1,000 highly skilled professionals from around the world. The program was launched last year, and of 40 experts attracted 30 started working, and the rest will be employed by the end of September. Major areas and disciplines where professionals from abroad will work is mathematics, physics, research in the field of chemistry, environment, engineering, energy, life sciences, and business management. Liu Yanguo said that China was very serious about the selection of candidates to work in China. Among the requirements are age under 65, ability to work in China for at least 3 years, as well as living at least 9 months of the year in the country along with high qualifications of the candidate to be monitored by a special commission. Since the beginning of the program 530 applications from candidates to work in China have been submitted. Mostly the interest comes from the countries that have close economic and technological ties with China - the U.S., Japan, UK, Germany and Russia. Yanguo also points out that, in contrast to the "American Dream", the time has come for the "Chinese Dream", which may look attractive to the best talent from around the world. Due to globalization and the rapid development of China, the country is willing to invest in the importation of foreign professional expertise, and create favorable conditions for foreigners qualified for the job. Foreign workers coming to work in China under the project are given a grant in the amount of 1 million yuan (157,700 U.S. dollars) from the government of the PRC. Foreign researchers may also receive grants to conduct research in the amount of 3 to 5 million yuan. China's experience in attracting highly skilled professionals from other countries will be able to raise the country's economy to a new level. Others countries, obviously, can follow the example of China in attracting the world's knowledge and technology. Attracting professionals from abroad, China is focused primarily on the accumulation of knowledge in the most advanced fields in order to effectively use them for the benefit of the economic, military and technological power of China. The idea to attract foreign experts to China is not new. Back in the 1990s, scientists from other countries have come to China. Jeffrey Lehman, rector and professor at the Institute of jurisprudence, University of Michigan, began organizing trips of scientists from Michigan to work at Beijing University. This trend is relevant in light of budget cuts in many Western universities - scientists are forced to seek work in other scientific centers of the world, and China in this regard offers attractive prospects. In 2008, the Chinese Government has also launched a project to attract foreign specialists called "Program thousand talents." As part of the program 1,600 people came into the country, many of whom, however, were ethnic Chinese living abroad. Li Jun, Associate Professor of HK Institute of Education, believes that because the Chinese universities receive major funding from the government, they are able to bring highly skilled scientific work from abroad. Foreign staff working in the universities in China increases their competitiveness and reputation, which is important in terms of competition among universities. This, in turn, contributes to obtaining university research funding. Chinese universities attract mostly professionals from applied scientific fields - mathematics, engineering, and various process industries. The country in the era of technological breakthroughs needs such specialists, providing further technological and economic development of China. Attracting foreign specialists also contributes to the fact that foreigners working in China get invaluable experience and the information that can be very valuable in their home countries. Due to such interaction Western world learned more about China and its rules of the game in today's difficult economic conditions. China has increasingly high requirements for foreign experts in terms of academic qualifications and experience due to the large number of candidates. These programs offer foreigners reimbursement of expenses associated with the move, and good conditions for life, career and professional growth. The Chinese authorities also pay great attention to attracting highly skilled professionals of Chinese descent to the country, who left earlier to study abroad and reached certain professional heights in another country. The Chinese government financially encourages these people to return home, offering attractive working conditions. These specialists typically earn several times more than the average person in China. Obviously, other countries, including Russia, have much to learn from the Chinese counterparts in terms of concentration of advanced scientific training and mobilizing the professionals to address the necessary scientific and technological issues that move the economy forward. Russia, as a geographical "neighbor" of China, is working closely with China in various fields, including labor migration. It should be noted that China has a great deal of immigrants from Russia working in prestigious positions, and sometimes they are more in demand than the Americans or the Europeans due to lower demands to conditions of life and the level of wages. More often Russians work for companies that are focused on Russia in terms of trade, tourism, finance and transportation. Why is the Chinese model to attract skilled personnel attractive? First of all, the country in times of an economic crisis draws attention to the involvement of foreign experts in China who have the necessary knowledge and experience, and does not spare the money for this effort. Application of foreign experience is quickly used in the latest technologies that also receive generous funding from the PRC authorities. The Chinese do not hesitate to learn from foreigners, adopting their experience during studies or work abroad. Moreover, the PRC government encourages Chinese students to study abroad and provides funds through various financial assistance, seeking to integrate their citizens in foreign companies, after which the most talented professionals are hired back to China. China is becoming an increasingly popular destination for both work and tourism and recreation. The Chinese language is gaining popularity all over the world. 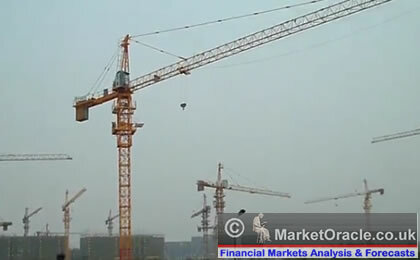 The Chinese economy has been experiencing an impressive economic growth. All this was made possible not least due to the deliberate policy of attracting to the country talented scientists, technicians and managers.